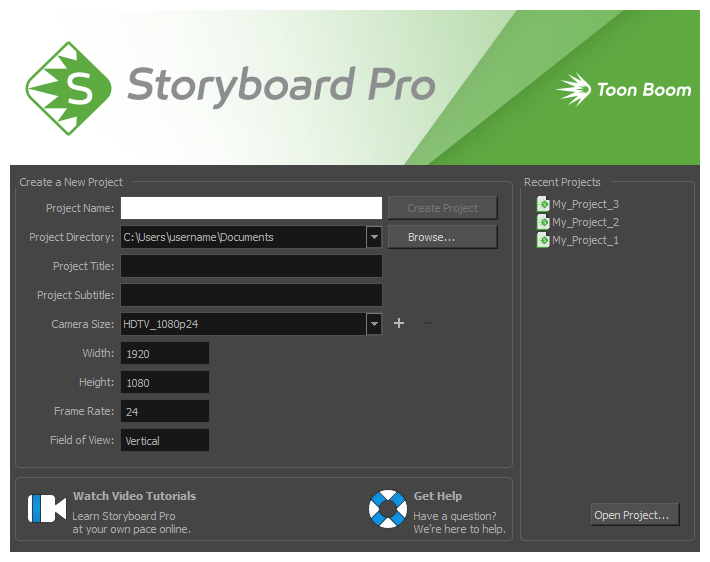 You can run Toon Boom Storyboard Pro on Windows and macOS. Windows: On the desktop, double-click on the Storyboard Pro icon or open the Start menu and select Programs > Storyboard Pro 6 > Storyboard Pro. macOS: Open Finder, then select Applications > Toon Boom Storyboard Pro > Storyboard Pro. 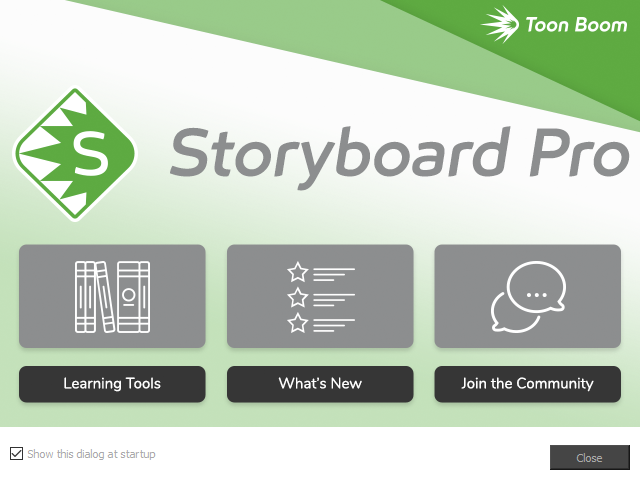 Storyboard Pro launches and displays the following screen. If you want to explore, go ahead and click one of the buttons. Otherwise, click Close.